KABOOM! In 1984 the Turtles exploded from the pages of a comic book, and ZAP! – they totally mutated into the coolest reptiles in the universe. 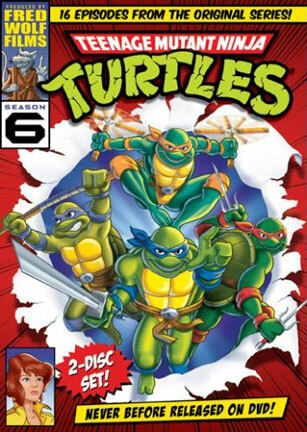 In all 16 gnarly episodes from Season 6 of the Original TV series, Leonardo, Michelangelo, Raphael, and Donatello open up the classic action that made “Cowabunga!” a household word. Don’t miss your chance to knock out the bad guys and save the day – POW!